DeBeers superior micronizing capability gives you the benefit of cleaner, more consistent performance results. Experience has shown us that using lower priced diamond powder is a false economy. 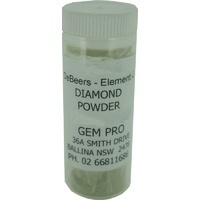 If you want the best results then use only the best quality diamond powders. 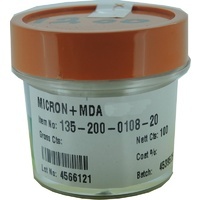 We have sourced the finest quality diamond powders at the best possible price and are passing the savings on to you. Gemcuts stocks a wide range of grits and you can order the diamond powder in a variety of quantities from 5 carats through to 100 carats. Select the quantity below then the grit size that you require.